Strategies to fix the problem. Universal policies unlink investment and insurance components of a policy in order to offer lower premiums. It’s sometimes possible to extend a policy to age 120, and while this solution isn’t perfect, it’s often the best fix available. First, your beneficiaries will not receive the death benefit. Second, a portion of the payout — often, a significant amount — be will be taxed as ordinary income (the payout’s cost basis, which is the total amount of premiums paid, isn’t taxed). When a whole life policy matures, the cash value will equal the death benefit plus accumulated interest, if any — but owners of a universal life or a variable universal life policy may get another rude shock. The first step is to find the maturity age of your policy or the policy owned by the individual you’re helping. Age 100 is the default, but if you bought your policy within the past 15 years or so, it’s probably 120. Some older policies mature at 95 or 96. The easiest fix is to ask the insurer for a maturity extension rider to extend the policy’s maturity age to 120. There may be a small fee for the rider, however, not all insurers offer it. If the insurer grants the rider, you may be able to avoid a taxable event, and your beneficiaries will receive the policy’s benefits upon your death as originally planned, but it’s not certain. The IRS may rule that you still owe tax at the policy’s original maturity date even if you forgo the lump-sum payout (the tax principle of constructive receipt comes into play here). Insurers are fighting the IRS on this, but it remains a gray area. 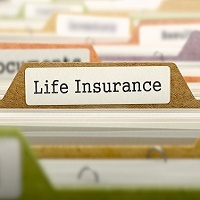 People with universal life policies may find it more difficult to secure the rider than those with whole life insurance, but even if you have a whole life policy, the insurer may not cooperate. If your insurer won’t extend the policy, you may be able to buy a replacement policy with the now-standard age 120 maturity. For a relatively healthy individual in his or her 60s, swapping may be feasible, but may not be for those who are older or ill. This is not a decision to make lightly, work with an independent financial adviser who doesn’t sell insurance to help you decide. With a Section 1035 exchange you can swap an old policy for a new one without realizing a taxable gain, as long as the owner and insured are the same on the old and new contracts. Consult a tax pro to avoid problems.